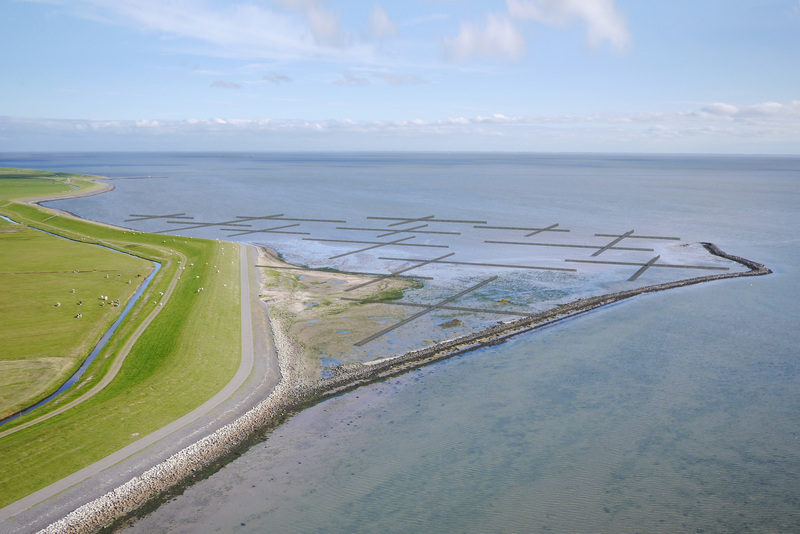 Inspired by Piet Mondrian’s ‘Pier and Ocean’ painting, we are restoring and developing 30 hectares of new salt marshes on the southern end of Terschelling island in a pattern of dams and poles which are perpendicular to each other. 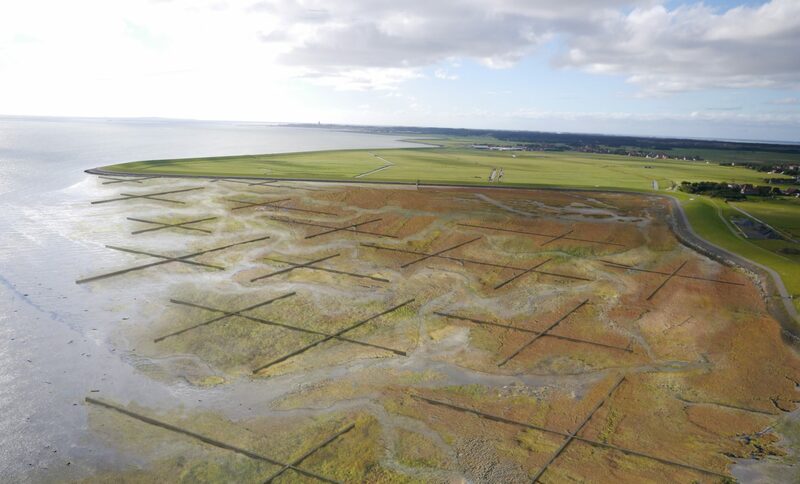 In the unique and innovative nature of the open salt marsh structure, the slurry sinks and ‘pioneer’ plants will sprout up everywhere. This is a perfect example of how natural and cultural elements can be integrated. In addition to being home to a rich ecosystem, this area also has salt marshes, which have a high conservation value and high gross and net primary productivity. The salt marshes will not be accessible to the public, as this would disturb the natural environment and the birds in the area, but people can cycle across the road along these marshes. 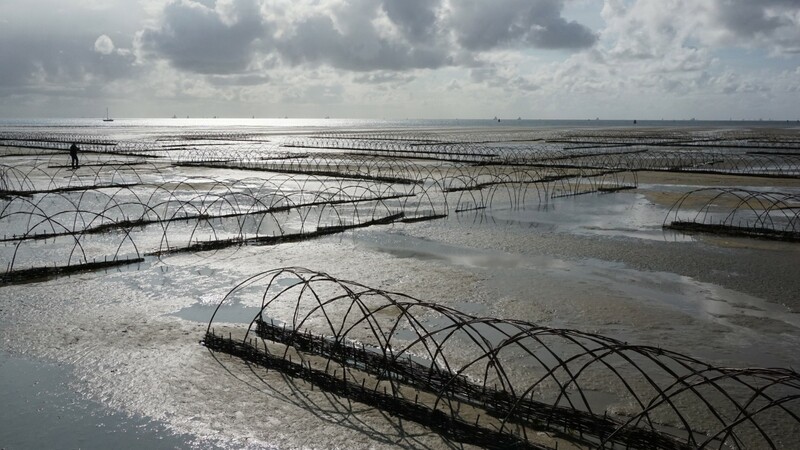 A preliminary design called ‘Wadland’ was created by the landscape architect Bruno Doedens at the 2015 edition of the annual Oerol festival. It was a design with an open structure and strong visual appeal, inspired by Mondrian’s ‘Pier and Ocean’ painting, which represents a labyrinth of perpendicular fences made from the pleated feet of willows. A total of 250 students and volunteers spent five weekends working on the artwork – and this was only a miniature version measuring two hectares. 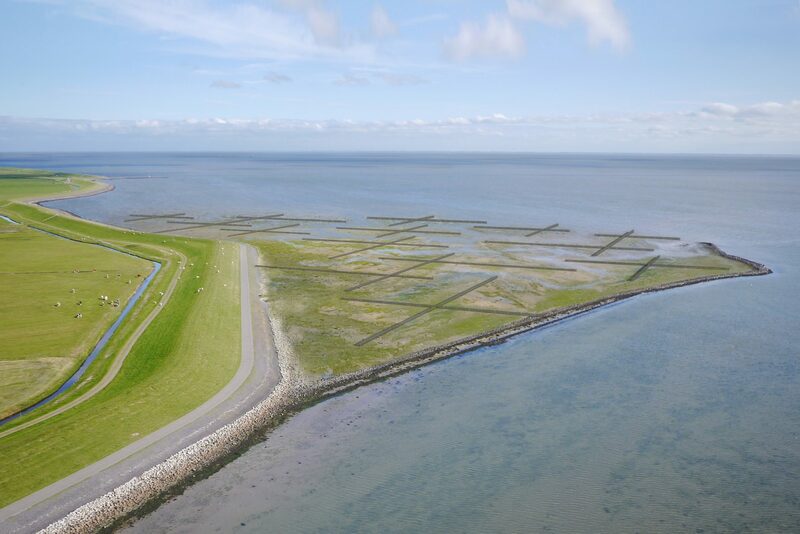 Created in conjunction with the Directorate-General of Public Works and Water Management, the Terschelling local council, the Province of Friesland, Wetterskip Fryslân and the Forestry Commission.